The African American Environmentalist Association has participated in the three Early Site Permit (ESP) hearings sponsored by the Nuclear Regulatory Commission (NRC). AAEA also attended the Combined Operating License (COL) meeting between Duke Power and NRC. Descriptions of these activities are below. February 17, 2005 -- The Nuclear Regulatory Commission (NRC) held a hearing on the draft environmental impact statement for Dominion's early site permit to build a new nuclear power plant or plants at its current facility. The hearing was in Mineral, Virginia. 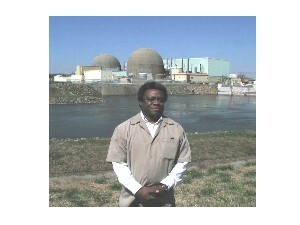 Dominion Resources Inc., a utility based in Richmond, Va, applied for an early site permit, which would provide the company an option to consider new nuclear generation among other generating options in the future at North Anna Power Station, in September 2003. AAEA attended the hearing and made a brief statement. AAEA supports building two new nuclear power plants at the Dominion site. At the meeting, the NRC explained the results of its draft environmental impact statement and accepted comments from the floor. The NRC, in announcing the public meeting late last year, stated it had reached a preliminary conclusion that the environmental impacts would not prevent issuing an early site permit for North Anna. If the permit is approved, the company would have up to 20 years to decide whether to build one or more nuclear reactors there. The NRC will issue a final environmental impact statement after the public comment period, which ends March 1, 2005.